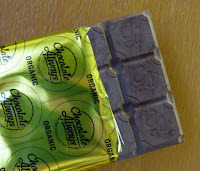 Welcome to Day #9 of Chocolate and Peru Theme Week. 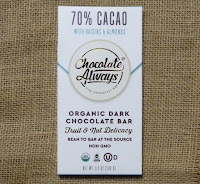 Today's 70% Cacao with Raisins and Almonds Organic Dark Chocolate Bar was made in Peru for Chocolate Always (Weston, FL). 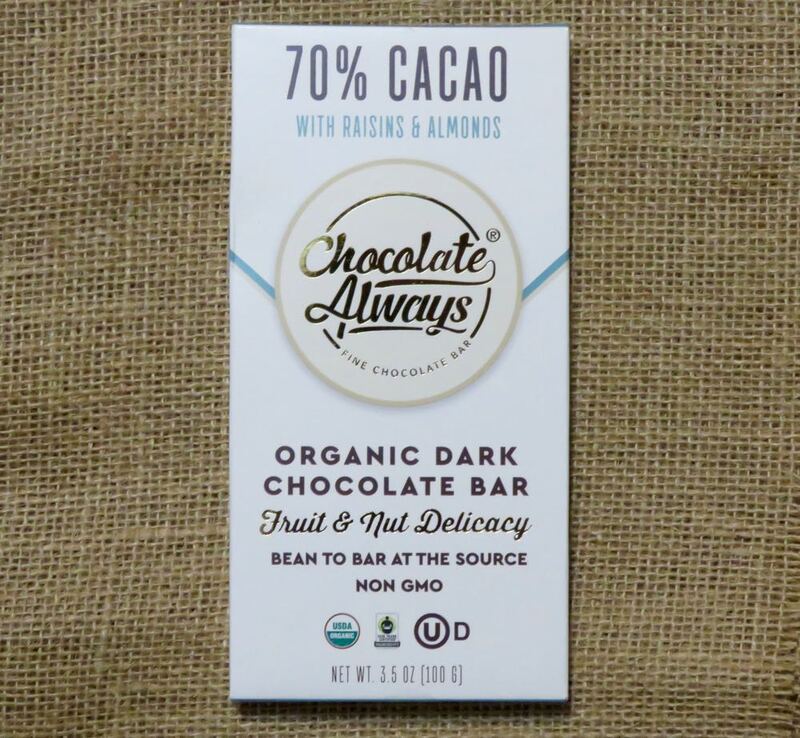 This dark chocolate bar contained bits of roasted almonds and organic raisins that added pleasing crunchy texture and dried fruit notes to a smooth dark base. Apologies for the photo of the bar. I hesitate showing any bar that has some slight white discoloration or "bloom" on it. People work hard to make bean-to-bar (or any) chocolate and to deliver chocolate to consumers, but temperature fluctuations in transit can wreak havoc on appearances.